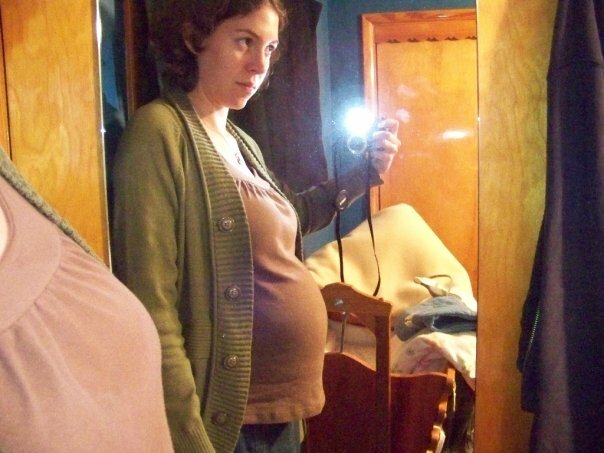 This week we asked: What does pregnancy look like? On Alicia’s “due date”: Munchkin (almost 3) is waiting for you Sweets! Sweets was born 10 days later. 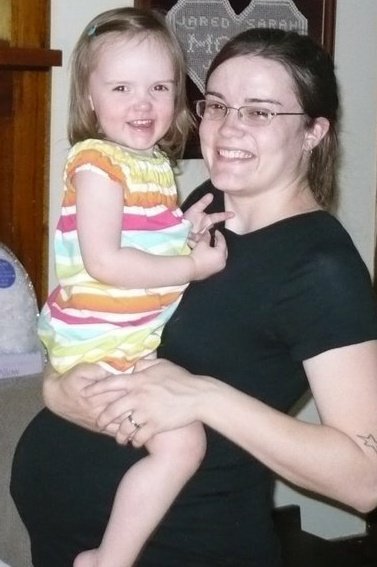 Alicia blogs at Lactation Narration. 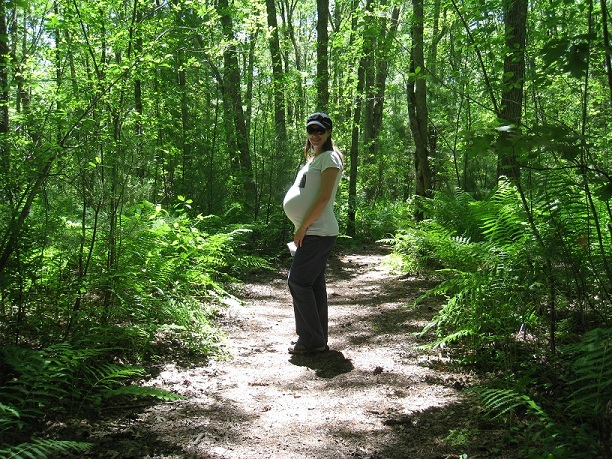 Dena blogs at Earthy Mama Yoga. Kimberly blogs at Our Crazy Corner of the World. Lani Michelle blogs at Boobie Time. 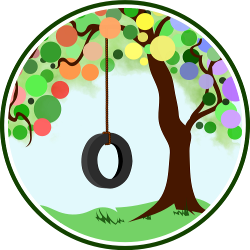 Sarah blogs at Parenting God’s Children. Amanda’s belly around 35 weeks with her first daughter. Amanda’s belly around 37 weeks with her second daughter. Amanda blogs at Let’s Take the Metro. Kristin blogs at Intrepid Murmurings. The day before Sasha was born. Sasha’s mom, Jorje, blogs at Momma Jorje. Adrienne blogs at Mommying My Way. 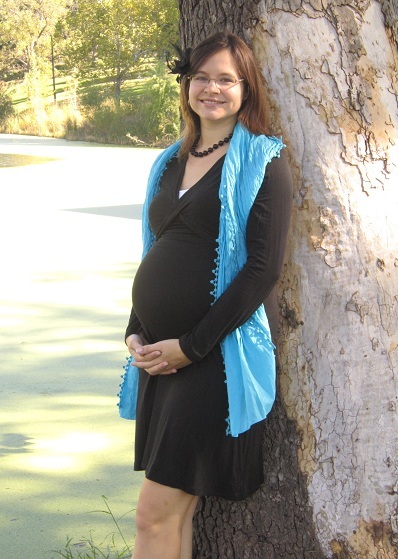 Jennifer is looking forward to doing another session for their new baby due in December! Pregnancy as a journey…Silas at 15 weeks in utero (about the size of an apple) and at 15 weeks in the world (much larger than an apple). Courtney blogs at A Life Sustained. 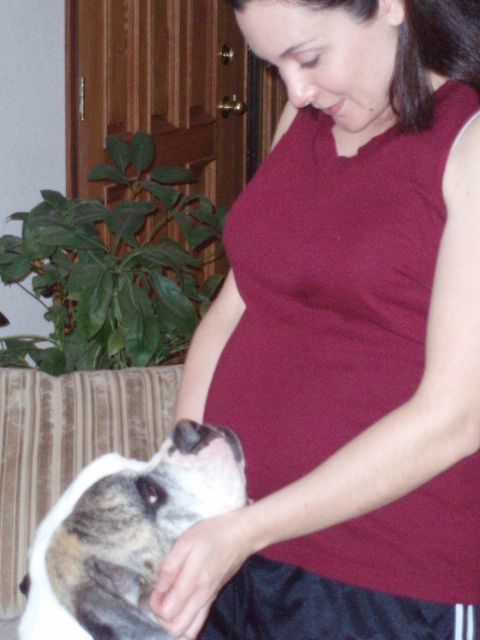 Jennifer at 5 months with her “ultrasound tech” Damian Dawg. Two weeks before Tiny arrived. 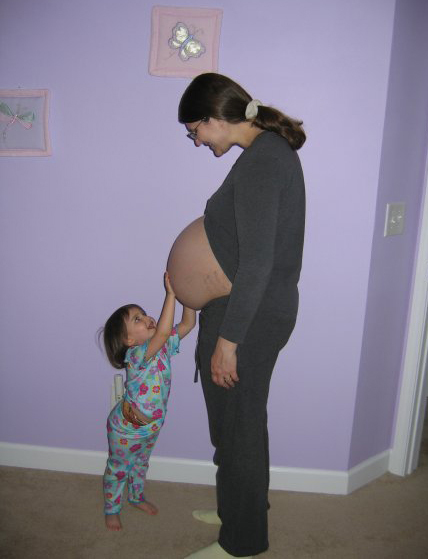 This photograph shows how committed Jennifer’s “ultrasound tech” was to keeping track of her progress. Jennifer blogs at Hybrid Rasta Mama. Joella blogs at Fine and Fair. 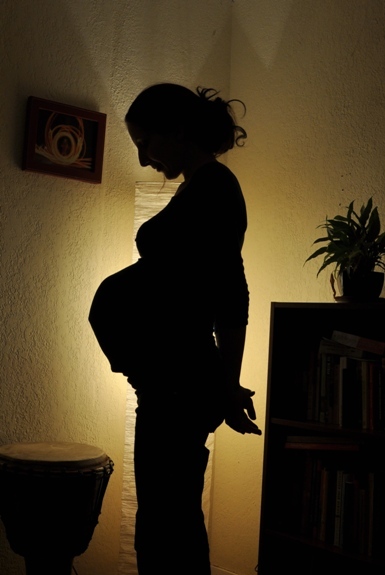 Tell us: What does pregnancy look like in your family? All so gorgeous — what a great collection! Love that second one with Jennifer’s dog & and the belly cast at the end! 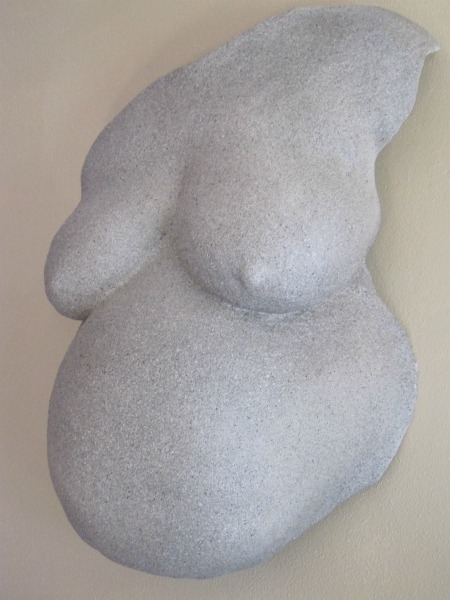 I love these shots, especially the belly cast (I’ve always thought that would be cool to do) – it looks like a Venus statue or something! I also love the back-lit photo, that is awesome! And Genevieve’s photo is so original! 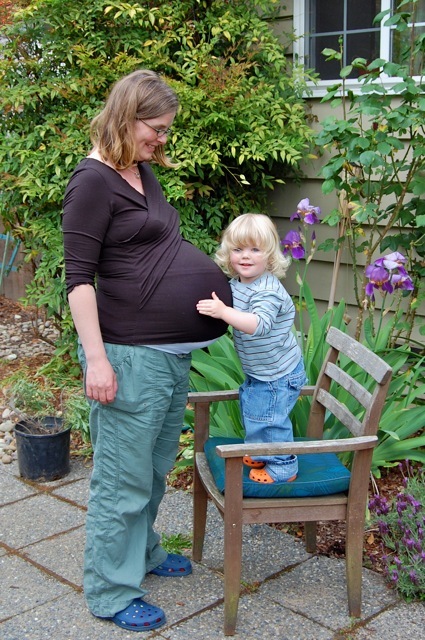 And I am a sucker for photos of little ones attention to Momma’s belly. 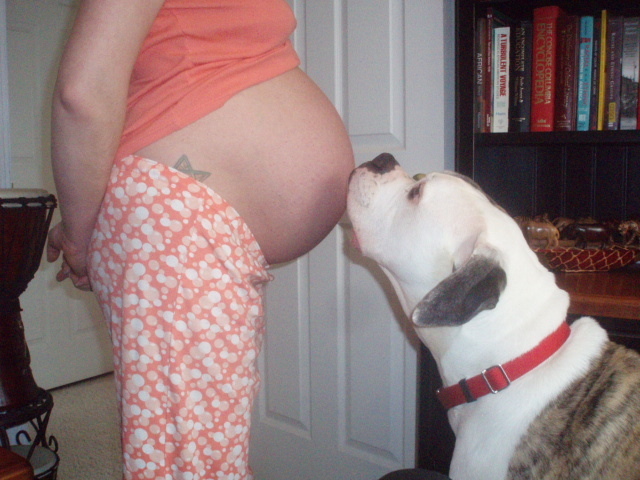 I can hardly wait until our little Sasha can feel the baby kick. 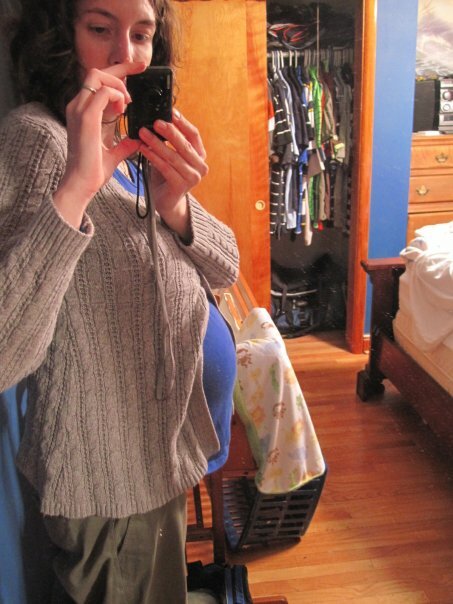 I love pregnant belly photos! These are all so precious. Thanks for sharing them! Beautiful, beautiful collection. I love the silhouette!